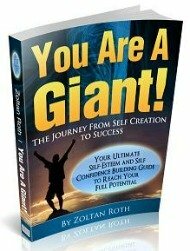 Important Lessons From Dr Rubino's Self Esteem Book That Will Help You Reclaim Your Self Worth. Dr Rubino in his self esteem book talks about using empowering interpretations instead of interpretations that make us feel inadequate as a way of overcoming self doubt. In fact here is a quote from the self esteem book in Dr Joe Rubino's own words. "The key to reversing self doubt lies in creating empowering interpretations about what others say or do rather than interpretations that berate us and fuel feelings of inadequacy"
What Dr Rubino was referring to here is that people with low self esteem often have the tendency to associate negative meanings to the events that occur in their life. Even when the actions and words of others are not intended to hurt them or put them down, they will read into it in a negative way and always interpret the events that happen to them in a way that validates their sense of unworthiness. As a result they trigger feelings of anger, sadness, and fear and repeatedly create interpretations that put them in these negative moods. In the book, Dr Rubino highlights how to reverse this tendency and create empowering interpretations instead of the interpretations that make you feel inadequate. He says that this can be achieved by developing a new behaviour of attaching positive meanings to the things that are done or said to us, and to be able to do that successfully we need to understand how to separate the real facts from our interpretation of the facts. He talks extensively on how to do this in the book. It makes us distance and isolate ourselves from others. It makes us assume that people will see the same faults in us that we see in ourselves. It causes us to expect rejection from others as we assume that they will not see us as worthy of their love, attention and friendship. It makes us avoid new challenges that might expose our faults. As a result we shut ourselves away from social situations so as to protect ourselves from getting hurt. if we want to have healthy and fulfilling relationships with others, then we must begin to see ourselves as worthy of such relationships and that's what Dr Rubino's self esteem book is about, it's about equipping you and getting you to see yourself as worthy and deserving. It was also in Dr Joe Rubino's self esteem book that I realised the impact low self esteem has on both physical and mental health. According to Dr Rubino, low self esteem is linked to the destruction and deterioration physical health, he puts it this way in the book "Low self esteem and the resulting lack of emotional health, will translate into a breakdown of the body"
I was shocked to discover that low self esteem is linked with heart disease and even cancer as well as other illnesses. I also discovered that one of the reasons that people age prematurely is also due to lack of self esteem. Before I read Dr Rubino's self esteem book, I had only really been aware of the impact of low self esteem on mental health, I hadn't realised the damage it could also do to physical health. For me if there was no other incentive to overcome low self esteem, realising the adverse effects it could have on the physical body is enough motivation to break yourself from its grip. Dr Rubino also cites the work of Louise. L. Hay in the book, and her studies revealed that failure to love yourself is the root of all physical problems. 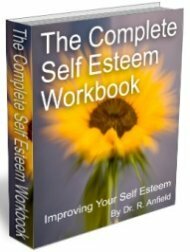 In the self esteem book, Dr Rubino also talked about some of the survival mechanisms that low self esteem sufferers use to try and build a wall around their insecurities. Some will hide and shut themselves away from the world. Some become passive and seek the pity of others. Some use physical strength as a way to protect themselves and build excessive muscles to protect them from their "enemies". Some use force as a way to exert power over others. Some seek professions that give them authority over others like becoming a policeman, soldier, and other uniform jobs. Some seek academic excellence to prove that they are better. While others seek money, titles and possessions to gain some prestige so that they can feel worthy. These efforts are all an attempt to make the individual feel more empowered and shake off that feeling of being small and powerless, the flaw in this approach is that it seeks to prove something to others, it isn't about pursuing things out of the conviction of purpose but out of insecurity and the need to prove that you're just as good - this isn't healthy. Dr Rubino then goes on to give a healthier alternative, which helps you overcome low self esteem instead of just building a wall around it. This alternative includes gaining confidence by discovering who you really are, understanding your life's purpose and knowing what your gifts are and how to use them to contribute to the world. These are just a few of the many insights you will gain from Dr Joe Rubino's self esteem book. It is a book that I sincerely recommend because I know the impact it has had on my life (that's why I talk about it so much) and I know you will gain a lot from it as well. Click here if you are interested in getting a copy. Here are some other self esteem books that you might be interested in. All these books will help you on your journey to build a more positive and healthy self esteem and rediscover your self worth. To get more information on each book, click on it's image. 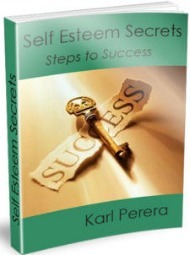 In these self esteem books you will discover the root causes of low self esteem and how to overcome them. You will also gain helpful skills on how to deal with that negative inner voice. 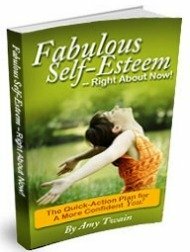 Discover the secrets to becoming more confident, loving and appreciative of yourself.